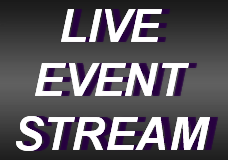 UWWTV – UWW-TV Wants You to Pursue Your Passion for Being an On-Air Talent! 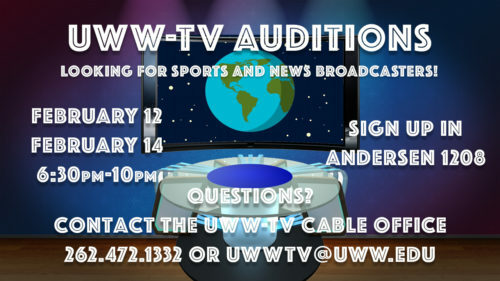 It’s that time of year again, UWW-TV is searching for new and motivated on-air talent! Have you always dreamed of calling the big game, or wanted to break that life-changing news story? Now is your chance! UWW-TV covers anything from campus news to Warhawk sports to original content created by and for the student body! Auditions are February 12th and February 14th from 6:30 – 10:00 pm in the Anderson Library Conover Studio. Sign-up sheets are posted in Anderson 1208.